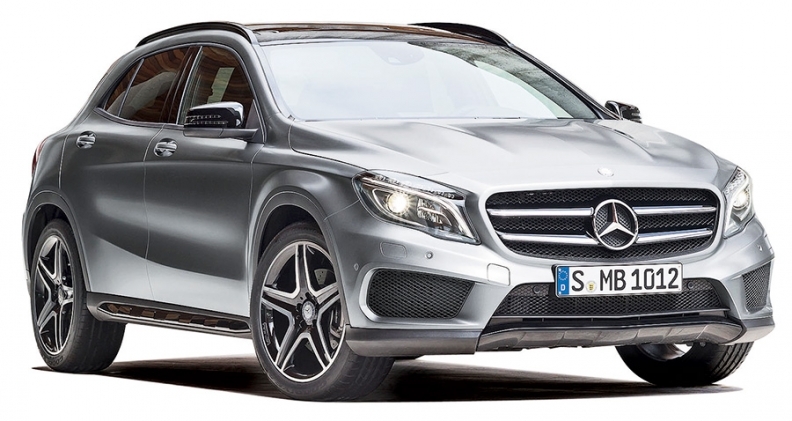 Mercedes-Benz's GLA is designed to compete with the BMW X1 and Audi Q3. Green luxury will dominate at this year's Frankfurt auto show as German premium brands showcase models that combine high performance with electric or hybrid powertrains. 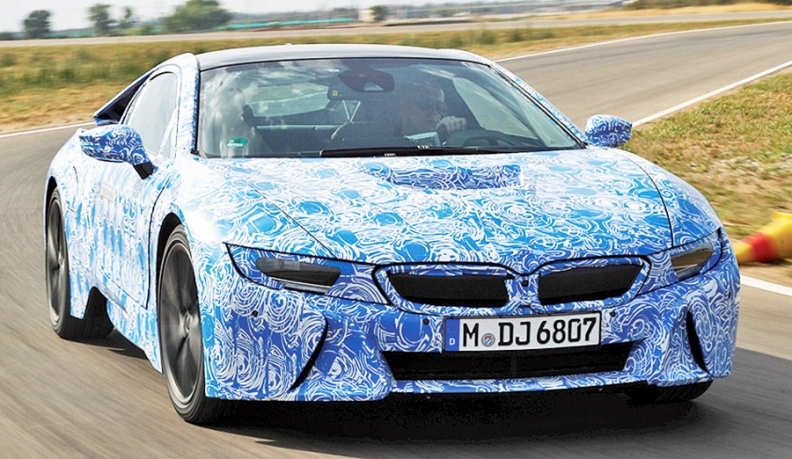 BMW will debut the i8, a lightweight plug-in hybrid sports coupe that delivers the equivalent of 94 mpg. Audi will counter with a Quattro plug-in hybrid concept that may go into limited production as a green halo car. Mercedes-Benz will unveil its latest S-class flagship sedan with a plug-in hybrid drivetrain that offers a fuel economy equivalent of 78 mpg. Show organizers say connectivity will be another major theme. Ford Motor will demonstrate its latest Sync and MyFord Touch features in a concept for its next S-Max European minivan. Here are major launches coming during press days on Sept. 10 and 11. Audi's Quattro plug-in hybrid supercar concept combines a twin-turbocharged 4.0-liter V-8 gasoline engine and electric motor for an overall output close to 800 hp. The brand plans a limited run of the car in 2016 as a halo model above the R8. The concept's Quattro name is part of Audi's renewed focus on all-wheel drive after moves by rivals BMW and Mercedes to increase the number of four-wheel-drive models in their lineups. Audi also will show a freshened A8 range-topping sedan with more powerful engines, lighter-weight construction, new assistance systems and new LED headlight technology. (See story, Page 22.) Audi is expected to unveil a second sports car concept. BMW will showcase the i8, following the i3 electric vehicle as the second nameplate in the automaker's i subbrand, as well as the 4-series coupe and a new X5 crossover with a plug-in hybrid drivetrain. The carbon fiber and aluminum i8 has an electric motor and a three-cylinder gasoline engine to deliver a combined 362 hp. Despite its power, the car has a fuel economy average equivalent of 94 mpg. BMW expects the United States to be by far the largest sales market for the i8, which launches mid-2014. The 4 series, a successor to the 3-series coupe, will have its show debut alongside a high performance M4 concept, which was unveiled last month at the Pebble Beach Concours d'Elegance. BMW said it used the numeral 4 for the rear-wheel-drive, two-seat car to emphasize its clear technical differentiation from the 3-series sedan on which it is based. The 4 series will arrive in U.S. showrooms in October. The third-generation X5 will be offered with optional rwd for the first time in addition to awd to broaden the crossover's appeal. An X5 plug-in hybrid concept will also debut. The model has a fuel economy equivalent of 89 mpg and can travel 19 miles under electric power. A production version is expected to go on sale in 2015. Changan Automobile will unveil the CS75 SUV. The automaker, which has joint ventures with Ford, Mazda and Suzuki, has released no information about the CS75 or any plans to market vehicles in Europe. After unveiling the freshened Camaro coupe at the New York auto show in April, Chevrolet has chosen to debut the convertible version in Frankfurt. General Motors hopes that the American muscle car will help burnish its image in Europe, where Chevrolet sells mostly affordable small cars built in Korea. 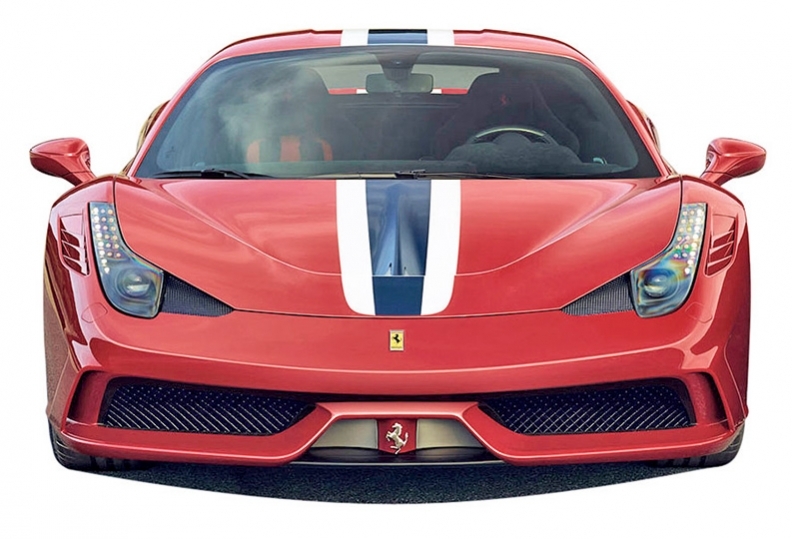 Ferrari's 458 Speciale aims to boost the brand's profitability and exclusivity. Ferrari will introduce the high-performance 458 Speciale as part of CEO Luca Cordero di Montezemolo's strategy to boost the Fiat Group brand's profitability with customized versions of its vehicles while restricting their availability to enhance the marque's reputation for exclusivity. Ferrari plans to reduce deliveries by 400 cars this year to about 6,900 vehicles. The 458 Speciale has the brand's most powerful naturally aspirated V-8 engine, which produces 596 hp compared with the 558 hp developed by the 458 Italia. Ford's concept for its next-generation S-Max minivan, sold only in Europe, is also a showcase for the automaker's latest technologies. The concept will feature Ford's heart rate monitoring seat, which had been unveiled as a research project. The seat has sensors that can provide an early warning of a heart attack by monitoring a driver's heart by its electrical impulses. Ford has not said whether the seat will be offered in production cars. The concept's connectivity features include Ford Sync with MyFord Touch that gives passengers WiFi access and a tablet docking station. Ford says the S-Max concept highlights its latest global design language with a high mounted grille and swept-back headlights. A concept version of the Infiniti Q30 will debut at the Frankfurt show. The Q30 concept previews an entry-level luxury compact aimed at broadening the brand's appeal. A production version is to go on sale in 2015 in global markets including the United States. The car will compete against nameplates such as the Mercedes-Benz A class, BMW 1 series and Audi A3. 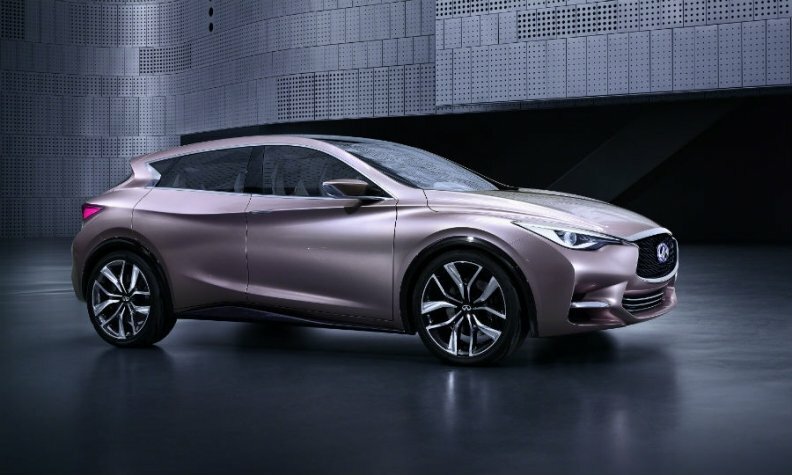 Infiniti says the Q30 will target the "modern, young-minded premium customer." The KED-10 concept will preview a potential subcompact to compete with nameplates such as the Nissan Juke. Kia said it has no plans for a production version but will evaluate the reactions of potential customers. Responding to regulatory pressure to improve fuel economy and cut carbon dioxide emissions, Land Rover plans to introduce diesel-hybrid versions of its Range Rover and Range Rover Sport. The hybrid powertrain combines a 3.0-liter V-6 diesel engine with an electric motor to improve fuel economy 26 percent from a standard diesel to the equivalent of 37 mpg, Land Rover says. Deliveries will start in Europe early next year. There are no plans for U.S. sales, but that might change if diesel-powered vehicle sales increase substantially in the United States, a spokesman said. Lexus will show an concept version of the NX small global crossover vehicle derived from the RAV4 platform. Toyota applied for a trademark for NX 200t and NX 300h, which points to a 2.0-liter turbo and a hybrid with the equivalent power of a 3.0-liter V-6. After unveiling its latest S class in May, Mercedes will show a plug-in hybrid version of its flagship sedan and possibly a concept for an S-class coupe that will replace the CL. The S500 plug-in hybrid, which will go on sale late next year, combines a 3.0-liter V-6 gasoline engine with an 80-kW electric drive to achieve a fuel economy equivalent of 78 mpg. It can travel for 18 miles on electric power alone. Mercedes also is expected to show an S-class coupe concept before unveiling a production version at the Geneva auto show in March. Mercedes also will show the GLA, its first compact crossover, designed to compete against nameplates such as the BMW X1 and Audi Q3. The five-door will arrive in U.S. showrooms in fall 2014. The GLA is the fourth member of Mercedes' new compact family based on its MFA platform, or Mercedes Front-wheel-drive Architecture, along with the A class, B class and CLA. The Opel Monza gull-wing coupe concept showcases a new styling direction for General Motors' struggling European division. It's similar in size to the mid-sized Insignia sedan and likely previews the look of the next Insignia. The concept is powered by the drivetrain from the Chevrolet Volt/Opel Ampera siblings but has a range-extending engine that runs on compressed natural gas instead of gasoline in the Volt/Ampera. The concept also highlights Opel's ideas for future connectivity innovations. Functions such as satellite navigation and phone connectivity are projected onto a dashboard display that stretches the width of the car. Changes can be made by voice recognition or by buttons on the steering wheel. Volkswagen will debut the new Golf Plus, a high-roof variant, along with battery-powered variants of the Golf hatchback and Up minicar. The e-Golf has a range of 118 miles while the e-Up can travel up to 99 miles on a full battery charge. VW also will show the high-performance Golf R, which has a four-cylinder engine producing 296 hp, up 30 hp from that of the outgoing model. Volvo will unveil its Concept Coupe, which will show the automaker's future design direction. The concept is the first show car from Volvo design director Thomas Ingenlath, who joined the company last year from Volkswagen Group where he developed Skoda's styling as chief designer for VW's low-cost Czech brand. Nick Gibbs, Luca Ciferri and Claire Bal contributed to this report.